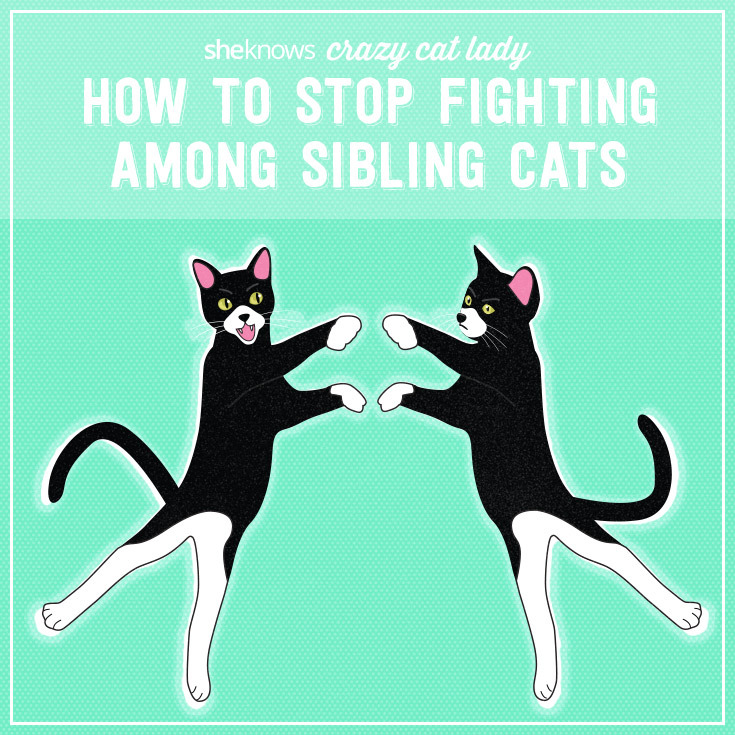 Crazy Cat Lady: Why are my sibling cats always fighting?! 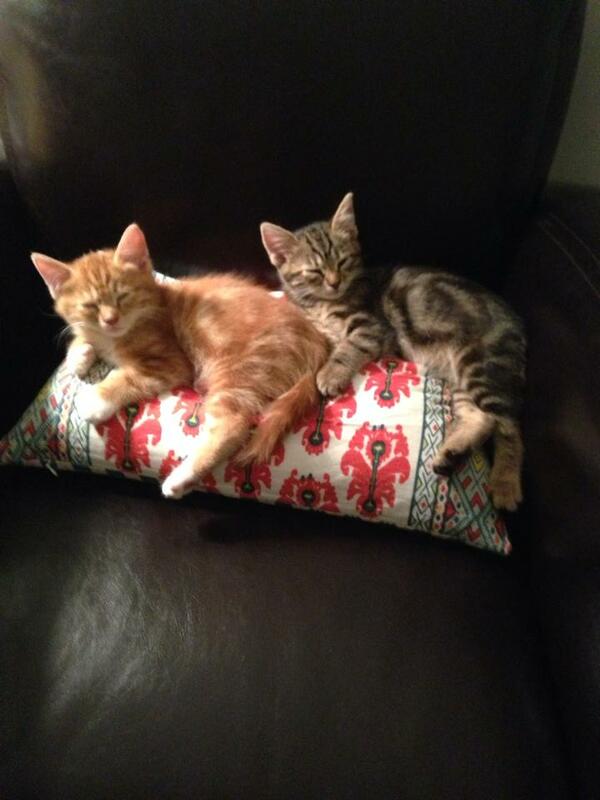 I’ve been a crazy cat lady my whole life, but up until last year, I’d never had sibling cats in my house. My decision to finally change that was simple — I was guilt-tripped. My roommate and I decided to adopt a kitten together last year, and (of course) we each ended up falling in love with different ones from the same litter. The folks running the adoption noticed our “predicament,” and immediately tried to get us to take both. “It’s really so much better for a cat to have a companion,” said one overly friendly girl volunteer. “Plus, you won’t feel as guilty leaving them alone for long stretches of time. And since they’re brother and sister, they already have a bond!” I looked sadly at my roommate who was totally eating all this up. She looked at me with giant eyes and said, “We can’t split them up. Look how they love each other!” The kittens had fallen asleep on each other adorably near their cage door. My roommate looked like she was going to burst into tears. Needless to say, we took them both without a second thought. 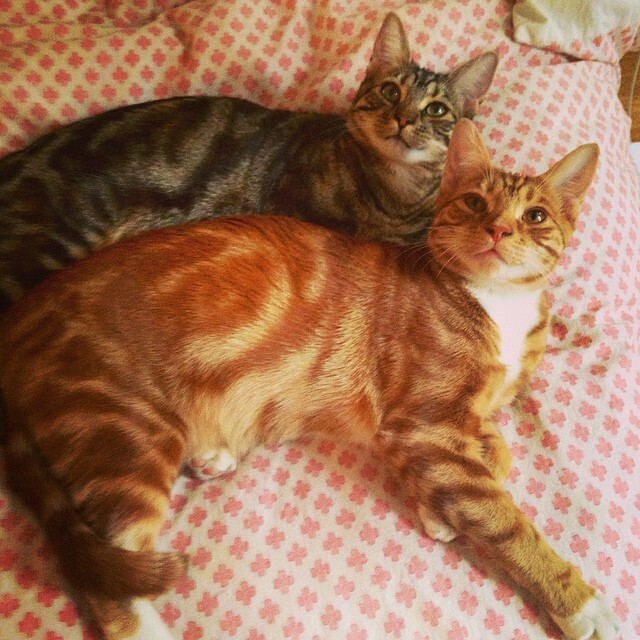 Once they settled into our home, their “bond” was immediately apparent. As kittens, Lonestar and Princess Vespa (yes, from Spaceballs) did everything together — they ate off the same plate, slept on top of each other and they even used the litter box at the same time (which baffled me). 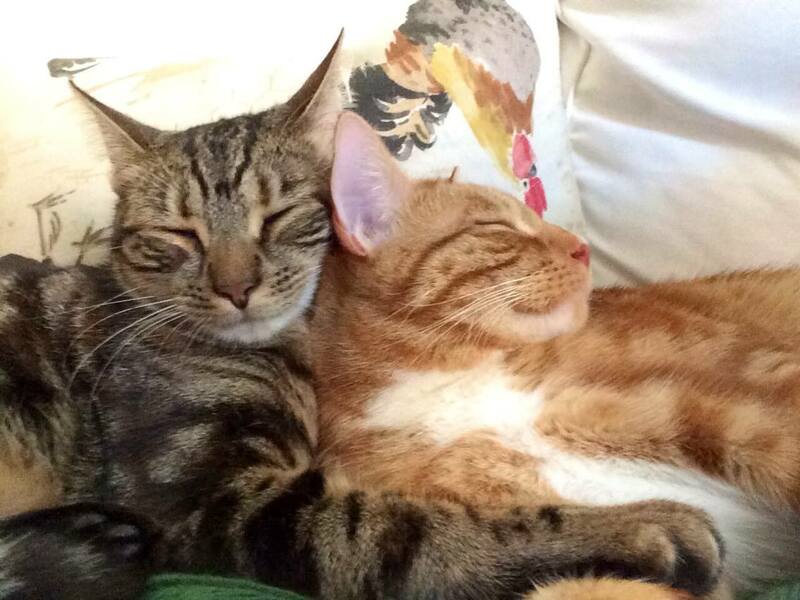 Not only was it the cutest, it was also like a dream come true — sibling cats that were perfectly in sync with each other. That is, until they reached adolescence. Suddenly, a rivalry began to form between them. Lonestar (the male), which started off as the runt, now had almost three pounds on his sister, Vespa. He had gotten into a habit of taking over her spots just to prove that he could. For example, when we were watching TV and Vespa was sitting in between me and my boyfriend, Bill would jump in and bite her backside until she scampered off, then assume her same spot. 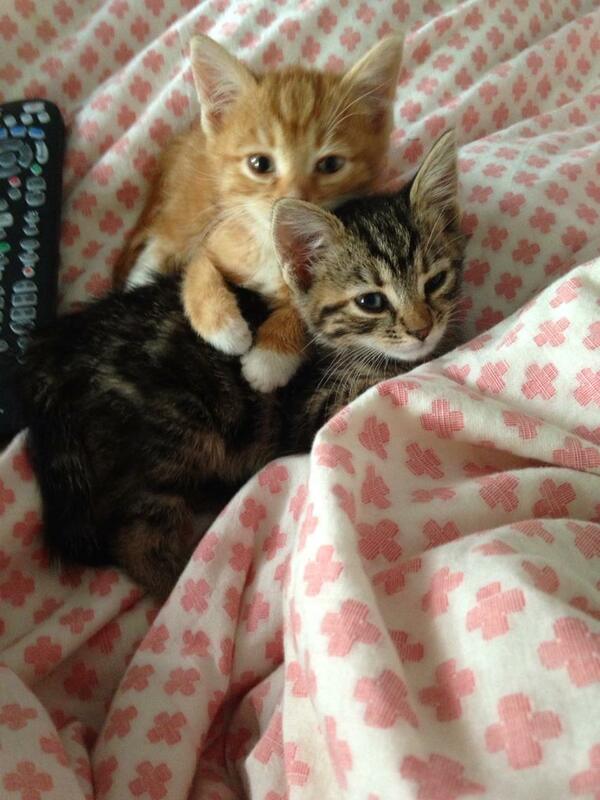 They would also fight for my attention. I can only imagine their behavior was somewhat akin to what human siblings do, but instead of using words, they would jump on me and leave toy mice in my shoes. I started to feel like Lonestar was turning into a bit of a bully — taking too much advantage of his now larger size and using it to intimidate his sister. He even began peeing around the cat box to denote that it was his domain, not hers. As the issue seemed to be getting worse, I decided to ask my vet friend Andy for advice. Turns out it’s a relatively common problem, and he had some great things to say about it. Instead of heading straight for prescription meds, try changing up the environment so that the cats can have more of their own space. Put water and food in different places around the house rather than in just one area. Make sure to have one litter box per cat, plus one more, and put them in different, out-of-the-way places. 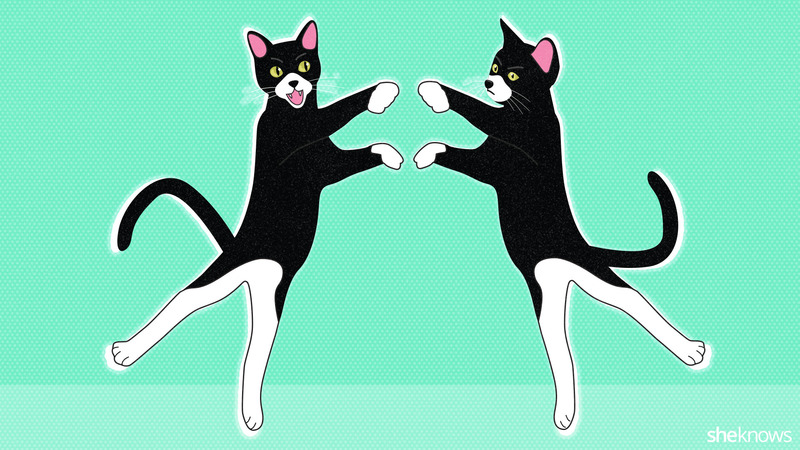 Try using a feline-appeasing pheromone spray or plug-in diffuser to help calm cats. Within a week, the fighting had diminished significantly, and the cats were finally sleeping together regularly, the way they did when they were tiny kittens. It was all about giving them their space and letting them realize they don’t have to live on top of each other all the time. I am thrilled that balance has been restored to our household, and I can finally watch Mad Men without getting whapped by an errant paw.